Why is Heater Self Maintenance Important? - With the proper maintenance your heating equipment will work more economically and be more dependable for years to come. With a few easy and routine procedures you can keep your unit at peak performance and get the maximum amount of comfort from your HVAC system. Oil, natural gas, and electrical heater consume a decent portion of the average monthly utility bill and proper and efficient maintenance can make a significant difference. Your heater loses some of its overall efficiency every year it goes without proper professional maintenance. Systems operating at peak efficiency can cut monthly energy costs significantly. Like your Air conditioning unit even when professionally maintained heaters can use a few extra procedures to add more life and efficiency to the unit. Proper maintenance effectively doubles the life span of the average residential heating and cooling system. Many of the health risks that are associated with poor air quality can be greatly reduced or eliminated with proper system installation and maintenance. Remember that self maintenance is no substitute for professional maintenance but can add greatly to the efficiency of routine professional maintenance. Click here for more on professional maintenance. 1) Disconnect All Power Sources - Please be sure to disconnect all electrical power to the unit before you remove any of the access panels or attempt to perform any maintenance procedures. Always remember that there may be more than one power connection switch. If you are unsure about this do not attempt to perform any procedure. Instead get a professional to assist you. 2) Beware of Sharp Edges - Be very careful when you handle parts or reach into units. Many of the metal parts and housings have very sharp edges which can cause severe injury. 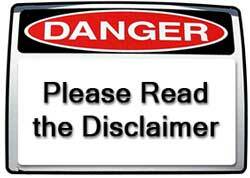 3) Follow All Safety Procedures - Follow all safety precautions suggested by the manufacturer of the equipment. 4) Use common sense - If something seems dangerous don't do it. Instead consult a professional. Now that we have warned you of what to look out for let's move on. Routine maintenance of your Air conditioning Unit. 1) Check Your Return Air Filter - Check the return air filter in your air conditioning system every 2 to 4 weeks. One of the most overlooked and easiest ways to save money and keep your system running smoothly is to keep your filter clean. Without a clean filter your unit cannot operate properly and its life span is greatly shortened. Dirty filters can cause you to use extra electricity, cause your unit to break down and need costly repairs and shorten the life of your unit. 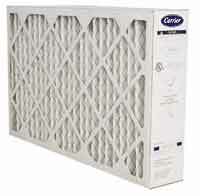 Only replace your filter when it is dirty, remember there is no magic amount of time between replacements. Just visually inspect the filter and if it has a film of dirt on the entire surface then its time to replace it. If you have the reusable type of filter clean it with soap and water (or the cleaner recommended by the manufacturer) and remember to wash the clean side of the filter so you don't just wash the dirt deeper into the filters core. Remember if your washing a reusable filter to let it dry completely before reinstalling it. Always keep your unit off while the filter is not in place. 2) Clean Your Return Air - Clean and dust off of your return air and keep it free of obstructions. Use a vacuum cleaner and soft brush attachment to remove dust from the outside and inside of the grill to help filters last longer. Turn the unit off first to avoid getting the dust into the air supply. If you can't get the grill clean call a professional for service to have it cleaned or replaced. Make sure that there are no obstructions in front of the return air like drapes, furniture or anything that would obstruct the airflow to prevent shortening the life and performance of your unit. 3) Visually Inspect your Oil and Gas System - If it is safely accessible visually inspect your oil or gas heating system looking for any oil leaks or other signs of trouble. If you smell gas get everyone out of the house immediately and call from a cell phone or neighbors house once you get out as the spark from a phone can be an ignition source. 4) Keep Clear of Combustible Materials - Keep combustible materials away from your furnace or any source of ignition. Many times heaters are installed in garages or storage areas where dangerous combustible materials like gasoline, kerosene, paint thinner and the like are also stored. Keep items away from sources of combustion such as the flame from a gas heater or the like. Refer to manufacturers for appropriate distances. 5) Get Annual Maintenance - Routinely have a professional contractor perform winter maintenance. The proper maintenance of your electric heater will keep your unit running smoothly and efficiently for many years to come. 6) Get Annual Inspections - ALWAYS have oil and gas fired heaters inspected annually to avoid dangerous conditions. Call a professional before each heating season to perform safety checks, which check for carbon monoxide, and conduct a thorough inspection of a heaters safety features. They will also clean and fine-tune the systems operation to make it run more efficiently. Carbon monoxide is an odorless, invisible, tasteless gas that is called the silent killer because it causes a number of deaths and severe health problems every year. Do not risk yourself or your family’s life or health by skipping these necessary tune-ups. Instead get your unit checked by a professional. To save money you may consider purchasing a maintenance agreement for your heating and air conditioning system. Many plans include pre-season maintenance twice a year and cost about $140 to $250. A plan will help the contractor find problems before they lead to a breakdown and will help save you money by keeping your electric and natural gas bills lower. 7) Buy a Carbon Monoxide Detector - If you don't already own one buy a high quality carbon monoxide detector and have it installed or install it yourself. Carbon monoxide is a colorless, odorless gas that is made by many household appliances (furnaces, dryers, ranges, ovens, and heaters). Usually, carbon monoxide and other gases are vented to the outside. But, if something goes wrong and carbon monoxide leaks into your home, it could be deadly. The alarm of a carbon monoxide detector will go off in time to get out before a normal adult starts feeling sick. 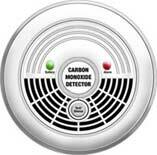 The Fire Safety and Prevention Council recommends that every household have a Carbon Monoxide Detector. if you don't have one you can buy a high quality carbon monoxide detector from our online store.